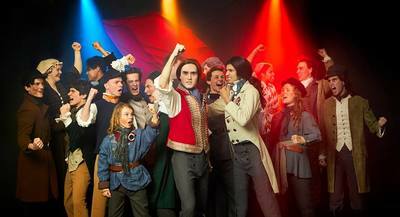 The Young Australian Broadway Chorus and Director Robert Coates has propelled Les Misérables to another level. With an ensemble of over 100 young people, all aged between 8 and 21yrs including the cast and orchestra, this incredible production successfully performs one of the most complex scores in musical theatre. The note perfect 16-piece orchestra was conducted by musical director Justin Jacobs, seeing the breathtaking harmonies of over 100 people brought a new depth to an already sensational show. Rhea Brandish performed an outstanding rendition of On My Own, while Bryce Gibsons played the role of Jean Valjean to perfection. As a huge fan of Les Misérables, I am lucky enough to have seen different productions of the musical in various countries around the world. Last night's performance was another dimension to anything that I have ever seen before. I'm going to go as far as saying this is the best production of Les Mis I've ever seen. I can't believe the talent of these incredible kids. For any musical fan I strongly urge you to "hear these people sing", before "tomorrow comes". Note: Les Misérables is a long production; over 3 hours. This musical is best suited to children over 12yrs with a passion for musical theatre.